Tribotechnical Compound Atomium ACTIVE Gasoline is designed for gasoline engines of passenger vehicles and light trucks with mileage MORE than 35K miles. 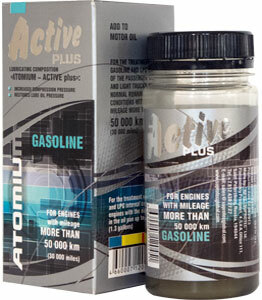 Boost your car MPG by 10%, recover compression, reduce emissions by 50% and protect car engine with Atomiuim Active Gasoline. as a result of improvement of combustion quality. Add Lubricant Composition Atomium ACTIVE Gasoline Plus to the engine oil 300-600 ml before oil replacement, pour through the oil filling neck (see the graph for calculation), then run the car till the next regular oil replacement (but no less than 300 ml). In case of a significant oil contamination (identify by the color of the oil on the dipstick or oil spots on filter paper) start the second stage of treatment immediately. Change the engine oil; Replace oil and air filter. Add Atomium ACTIVE Gasoline Plus to the new engine oil (see the graph), and then run the car in a regular mode till the next oil replacement. Before applying Atomium ACTIVE Gasoline Plus shake the can thoroughly until natural sediments (active components) are totally dissolved. 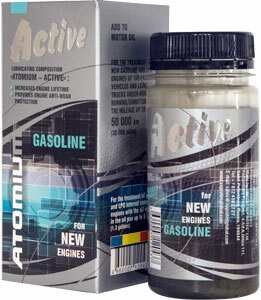 Apply Atomium ACTIVE Gasoline Plus through the regular oil filling neck of the warmed-up engine. After applying Atomium ACTIVE Gasoline Plus the engine should work on single turns (at idle) for 5 min and then run for no less than 20 min in any mode (regular operation). At mileage more than 50,000 miles use our long-term Atomium MOTOR FLUSH during the 1st stage (120 miles before the oil change). 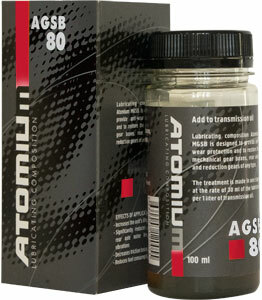 Atomium ACTIVE Gasoline Plus is compatible to any type of motor oil and doesn’t change its properties. For providing continuous level of engine protection it is recommended to apply Atomium Regular at 20,000 – 25,000 miles after the complete treatment with Atomium ACTIVE. 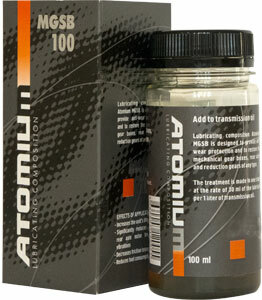 After 65.000 miles to repeat the treatment with Atomium ACTIVE Gasoline Plus is recommended. For turbocharged engines and forced engines the re-treatment is recommended after 30,000-35,000 miles.